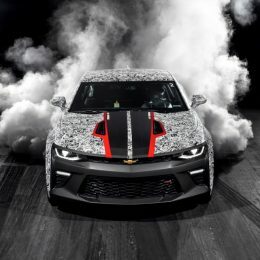 For 50 years, the Camaro and the quarter-mile have stuck together like a drag slick on a well-prepped starting line, and Chevrolet is pushing that winning legacy forward with the new Camaro SS Drag Race Development Program and the 2017 COPO Camaro. 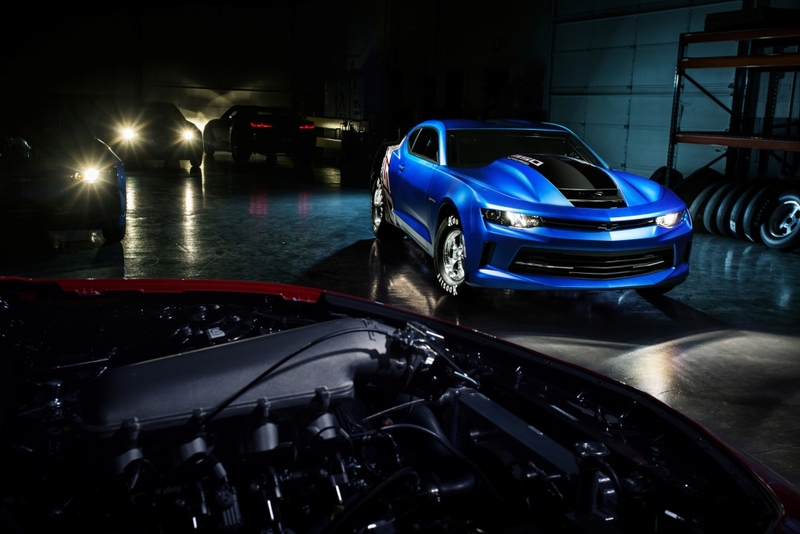 The Camaro SS Drag Race Development Program explores the quarter-mile capability of the Gen Six Camaro with concept parts designed to support 10-second elapsed times in a production-based model. 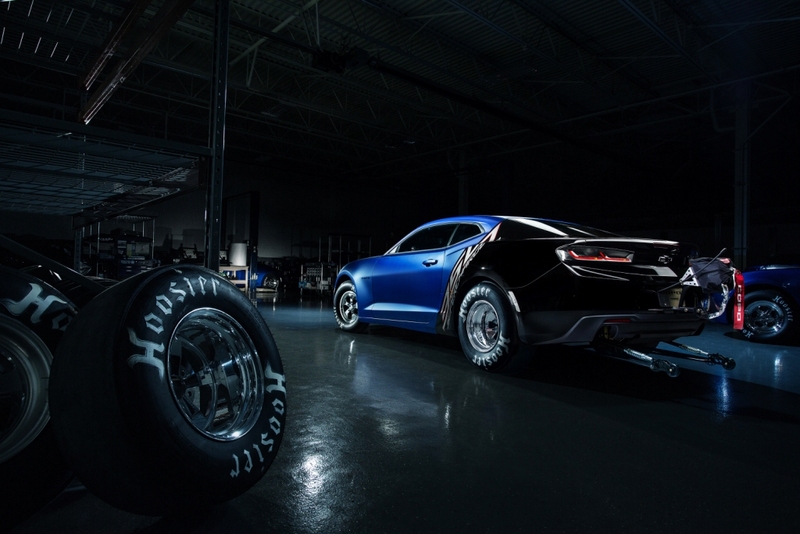 The COPO Camaro offers the first look at the factory-built race car program for 2017. That commitment has helped put Camaro drivers in the winner’s circle, including seven class wins out of eight NHRA Stock classes and a Super Stock class win at the 2016 Chevrolet Performance U.S. Nationals in Indianapolis. COPO Camaro racer Jeff Lopez was the Stock Eliminator champion. The Camaro SS Drag Race Development Program was created to develop performance parts for 2016+ Camaro models. 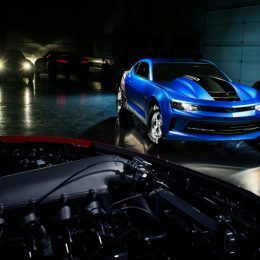 A test vehicle was built to mimic the typical stair-step enhancements many amateur racers make with their production Camaro SS models, including swapping the differential for a numerically higher ratio and adding horsepower-building components such as a cam-and-heads package to push the SS’s LT1 engine to more than 530 horsepower — and about 600 horsepower with a power adder. 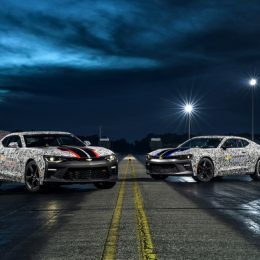 Engineers have made more than 100 passes down the quarter-mile with the development car, including the evaluation of DOT-approved racing and slick tires and a variety of drivetrain combinations. The engineering team also tested a higher-stall torque converter for greater launch capability, increasing the stall speed to 4,200 rpm with the LT1 engine. That’s approximately 30 percent higher than the stock converter. Along with a custom transmission calibration, the prototype converter allowed the car to launch harder, which improved the 60-foot time significantly and thereby improved the quarter-mile elapsed time. Consistency in the performance tests came in large part from the Camaro SS’ production eight-speed paddle-shift automatic transmission, which fired off quick, immediate upshifts. To support the greater horsepower and channel it to the ground durably, the engineers borrowed some heavy-duty, proven parts from the Gen 6 Camaro ZL1 including the half-shafts and prop shaft and the beefier Gen 5 ZL1 and Chevrolet Performance driveline upgrade with a 250mm, 3.73-geared rear-axle center section. They nicknamed it “Gravedigger,” because they haven’t been able to break it. The parts might be included in a range of Gen Six Camaro drag-racing parts Chevrolet is evaluating. Additionally, the test car was fitted with Chevrolet Performance air induction and exhaust systems, as well as a “small” brake system that features small-diameter brake rotors that fit inside the test car’s 16-inch rear racing wheels and slicks. While the production Camaro SS features 20-inch wheels, optimal traction on the drag strip is achieved with racing slicks that feature taller sidewalls. They wrinkle slightly at launch as the slicks bite the starting line, reducing the chance for traction-killing tire spin. Smaller-diameter racing wheels typically don’t fit over large-diameter production brake rotors. 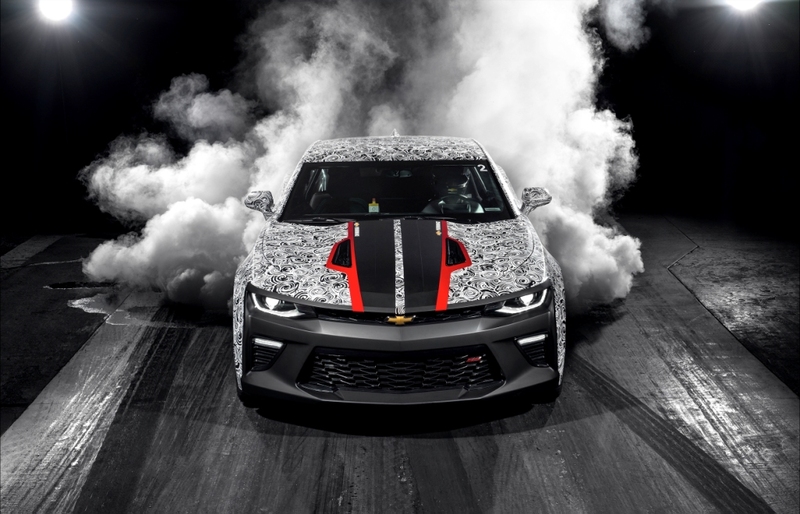 Like other Chevrolet development vehicles, the Drag Race Development concept wears a camouflaged exterior. There is, however, no disguising its performance capability when it’s lined up at the Christmas tree. 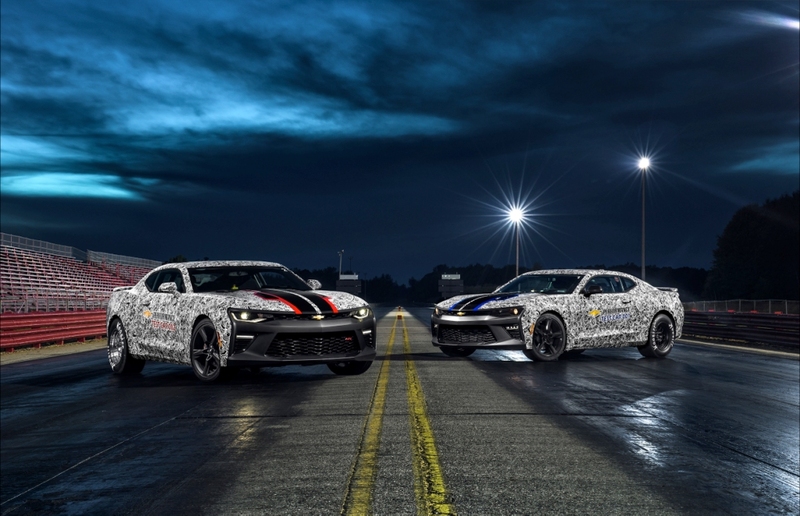 The 2017 COPO Camaro program extends the production legacy that was re-started in 2012 and based on the special-order high-performance Camaro models created in 1969 to win on the drag strip. 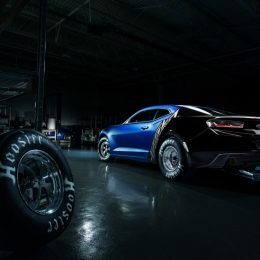 Chevrolet’s 2017 COPO Camaro show car — serial number 01 of 69 — was introduced today and features a supercharged 350 engine, custom Weld racing wheels and a unique “anodized” concept version of the production Hyper Blue Metallic exterior color. It will be sold at the Barrett-Jackson Scottsdale auction in January 2017, with proceeds to benefit United Way. Like the previous editions, the 2017 COPO Camaro is designed for NHRA’s Stock Eliminator classes. The production race cars are fitted with racing chassis and suspension components, including a unique solid rear axle system in place of a regular-production Camaro’s independent rear axle. When it comes to horsepower, racers can select from a variety of supercharged and naturally aspirated LS- and LT-family engines, including a supercharged 350 (5.7L), a naturally aspirated 427 (7.0L) engine and an LT-based, direct-injected 376 (6.2L) engine. The engines are backed by an SFI-approved ATI TH400 three-speed automatic transmission. Each COPO Camaro race car is built by hand starting with production hardware, including the same body-in-white used for production models. Racers interested in purchasing one of the 2017 COPO Camaro race cars must register at Chevrolet.com/COPO by Dec. 15, 2016. An independent third party will randomly select from the pool of interested customers. Those selected will be contacted in the first quarter of 2017. The Camaro SS Drag Race Development test car and COPO Camaro show car are part of approximately 20 Chevrolet models on display this week at the SEMA Show.